though you look at you read about the guy who owned gloire he was actually.. In an overnight Wednesday session, majority fascist Brazilian senators voted to impeach Rousseff without just cause - following majority lower house members in mid-April voting the same way. An 11th hour Supreme Court appeal on her behalf was denied, along with a separate appeal to bar vice president/interim president Michel Temer from replacing her ministers with ones he and other fascists usurping power choose. Washington still thinks of Latin and Central America as its backyard. Colonial thinking never fades. Make no mistake. Its dirty hands are behind the attempt to oust democratically elected Brazilian President Dilma Rousseff. She’s not neoliberal enough to suit US policymakers. Her social justice programs have to go. In a 367-137 vote with two absent and seven abstentions, Brazil's lower house of Congress voted to impeach President Dilma Rousseff. 342 vote were needed. To reach that total, members of her own party had to abandon Ms. Rousseff. For the past two years, Brazil has been mired in the costliest corruption scandal ever uncovered in a democracy. Evidence surfaced in 2014 that contractors in Brazil had formed an alliance to overbid on projects for government-owned energy company Petroleo Brasileiro (Petrobras). Contractors pocketed the extra cash and bribed politicians and Petrobras executives to keep quiet. The scandal — the investigation of which came to be known as "Operation Carwash" — was so blatant and implicated such prominent political figures that it shocked Brazil, a country accustomed to high-level corruption. And now the odds that Brazil's president, Dilma Rousseff, will survive the fallout are looking slimmer and slimmer. The Brazillian stock index, the Bovespa, has generally been trading exactly as outlined back in May 2015 and I believe we now have the final low at hand with today's low of 38459. Let's analyse the technicals using the daily and monthly charts. For about a decade there, Brazil was the Latin American country that got it right. Under a socialist but apparently reasonable government they kept their budgets under control, managed the population shift from farm to city, and developed some efficient export industries that brought in plenty of hard currency. The Brazilian real held its own on foreign exchange markets and inflation was, as a result, moderate. Then it all fell apart. The US dollar spiked, commodity prices tanked, and it was discovered that a whole range of big local players were gaming the system in various ways, sparking a corruption scandal that reaches all the way to top. MoneyMorning.com The Great Recession and its aftermath was actually the best of times for countries with natural resources to sell. The US, Europe and Japan ran record deficits and cut interest rates to zero or thereabouts, sending hot money pouring into mining and energy projects around the world, while China borrowed (as it turned out) $15 trillion for an epic infrastructure build-out. The Bovespa is the Brazilian stock index and is based out of Sao Paulo. Let’s take a top down approach to the technicals beginning with the yearly chart. The flareup in Brazil erupted in violence overnight as millions protested corruption, inflation, bus fares and a seemingly growing list of items. Unsurprisingly, the Brazilian real weakened against the dollar now in its sixth consecutive day of decline. Brazil continues to impress as a country and economy, due in no small way to its government’s multi-year efforts and determination to make it an important global presence. Brazil is the fifth largest country in the world by geographical area and population (190 million), and now has the sixth largest economy, having surpassed the United Kingdom last year. Geopolitical imperatives are broad, strategic goals a country must pursue if it is to achieve security and success. These are non-ideological paths determined by the geography of a given country and by the geography of its neighbors. Geopolitical imperatives typically nest: The second imperative is dependent upon the first imperative, the third upon the second, and so on. This is not the case for Brazil, however. Just last week in Thoughts from the Frontline, we discussed the relative valuations of emerging markets. Any discussion of an emerging market is incomplete without understanding the underlying geopolitical forces that guide behaviors of countries and often predetermine the outcome of events. Today I’m sending you STRATFOR’s geopolitical analysis of Brazil, a much-discussed emerging market. This is a long read, but it’s the most thorough and enlightening analysis I’ve seen thus far on how the continent’s geography has shaped Brazil’s history to date, and the major challenges the the country faces today. Hint: Brazil’s biggest problems are an overvalued "real," Mercosur, and an Asian giant (you guess which one…). Brazil's Bovespa stock market index closed at fresh lows today. It's rally off the early July low was far weaker than that of most other major world markets. A look at the chart shows that a significant level of support going back to October of 2009 was violated in today's selloff. Are we in the early to mid stages of a bubble forming in Brazilian real estate? Who can tell - with the global liquidity tsunami gushing in every direction, there has to be other areas other than commodities where dislocations are forming. I found this interesting piece while looking over the news for Brazilian homebuilder Gafisa (GFA). While the "mass" mortgage market is still relatively new in Brazil - hence a whole slew of new potential buyers can now enter the market - some of the anecdotes in this Reuters story are eerily similar to those in the U.S. circa 2005. Today, the Brazil's central bank is likely to raise its key interest rate, the SELIC as discussed in the January newsletter. Analysts estimate a 50 basis point hike. If this occurs, it will place short-term rates at 11.25%. The global inflation trend is driving this decision, as food and energy costs have hit Brazilian consumers particularly hard over the past several months. Brazil’s economy is booming, and I can assure you, it’s not a bubble. I am also certain that the vast riches being made are not a flash in the pan. Richard Thies writes: With the second round of the Brazilian presidential election set for October 31st, we thought it would be a good time to focus on the country and steps the next administration can take to limit growing imbalances in the economy as well as the strength of the real. The election has gone mostly unnoticed by markets, in sharp contrast to the 2002 contest, but one need only look to the last few weeks to understand the importance of the vote. Here is a market that we like a lot more than the US market. We really like the way its acting and it looks set to take out the highs that were seen in December of 2009. If that is the case, then we could see this market make all-time highs pretty quickly. You definitely want to have this one on your radar screen. Martin Hutchinson writes: Batten down the hatches. Brazil, the media-darling of the world financial press and the poster child for emerging-markets investing, is heading directly into the eye of the storm. Until now, Brazil has provided investors with a thoroughly rewarding run. Investors who followed Money Morning's October 2008 call to buy the iShares MSCI Brazil Index (NYSE: EWZ) have notched a 160% return. Cheap labor and a good climate for crops have positioned Brazil to make gains in agriculture. This week we sent global strategist Jack Dzierwa (pictured here) south for a look at opportunities. Brazil is currently #4 in the world in agriculture, and the sector is the largest component of the country’s $2 trillion economy. It employs more than 20 million people, or one out of every five workers in the nation. Anyone familiar with international investing knows about Brazil. It’s hard to ignore the fifth largest country in the world by geography and population, the South American commodities powerhouse, and the largest economy in Latin America! Brazil has become one of the globe’s beacons of growth but in terms of infrastructure investment it needs to catch up to its peers. As you can see from the two charts below, Brazil’s investment in its infrastructure has lagged that of emerging market leaders India and China, but it’s also lagged other Latin American countries like Peru and Mexico. In terms of investment-to-GDP ratio, Brazil averaged 17 percent over the past five years, according to a Morgan Stanley report, far behind China (44 percent), India (38 percent) and Russia (24 percent). On February 4th, I wrote that the Brazilian Bovespa was "dead money", and nothing since that time has changed my mind as Brazil, as measured by the i-Shares MSCI Brazil Index Fund (symbol: EWZ), has lagged the S&P500. Martin Hutchinson writes: In many ways, Brazil offers some of the best prospects among emerging markets and deserves to be a core holding in any international portfolio. Figure 1 is a monthly chart of the Brazilian Bovespa Index. The indicator in the lower panel measures the number of negative divergence bars occurring between price and an oscillator that measures that price action. Negative divergence bars are the price bars with pink markers on them. Despite a 73% increase in the Bovespa this year and the country raising taxes to try to keep out an avalanche of Western central bank liquidity [Oct 20, 2009: Ben Bernanke's Money Printing Parade Forces Brazil to Slap a Tax on Outside Investors], Goldman Sachs still says the shares are cheap. Certainly if EPS can grow 40%+ next year they might have a point, and who can argue against the fact this is one of the most attractive markets in the world. Jason Simpkins writes: Brazilians used to joke that their country was the country of the future - and always would be because a new crisis seemed to crop up every time the economy came close to fulfilling its potential. But given the economy's strong performance following the financial meltdown that crushed economies the world over, it looks like Brazil's time is now. Let's have a look at the pattern developing in the iShares Brazil ETF (EWZ). Forgetting for a moment that this is a chart of the Brazilian country ETF, what should we do with this chart pattern? Let¹s understand that many charts look like this one: IFN (India), FXI (China), EWH (Hong Kong) just to mention a few. So, do we treat the Nov-June upmove as a completed recovery phase against the BIG bear market? Martin Hutchinson writes: most other markets, Brazil has been battered by the credit crisis – the BOVESPA index is currently down 28% in October alone and no less than 52% from its peak as recently as May. It now appears to represent excellent value, with a historic Price/Earnings (P/E) ratio of only7.0. Since its July 15 low, the iShares Brazil ETF (AMEX: EWZ) was up 2.5% through yesterday's close whereas the SPY was up 6.7%. In addition, the pattern carved out by the EWZ has taken the shape of a bearish coil, which warns me to expect another bout of weakness. Without a doubt, anything commodity-related is getting hammered today -- moreso if it is tied to oil and grains, like Brazil, which has just discovered a huge oil deposit and is a major grain exporter. Let's notice that today's weakness in the iShares Brazil ETF (AMEX: EWZ) has violated key intermediate-term support at 83.00-82.00, which represent both the August 07-July 08 trendline and the sharply rising 200 DMA. Indeed, serious technical damage has been sustained by the EWZ, which projects next into the 75.40/00 target zone. In general, the EWZ exhibits a VERY constructive intermediate term chart pattern. All of the price action off of the Jan. low at 64.00 represents the start of a new upleg within the existing longer term bull trend that started in 2002 near 5.00. Furthermore, the decline off of the Feb. 28th high at 88.77 to the March 20 low at 72.11 appears to me to be a completed pullback, and the start of a new upleg that projects to retest 88.00-81.00 on the way to 91.00-93.00. Let's notice how much respect the price structure (investors) have exhibited during tests of the sharply rising 200 DMA. While this week's decline in the SPY has given back about 60% of the Jan-Feb advance, let's notice that the decline in the iShares MSCI Brazil ETF (NYSE: EWZ) gave back "only" about 40% of the prior advance. In addition, the form of the decline off of the November high at 87.67 into the 1/23 low at 64.00 has the look of a completed corrective leg. Although all of the action off of the January low could represent the start of a new bull phase, my sense and experience warn me that it probably represents something much less bullish?as in an intervening upleg that separates two bear phases. 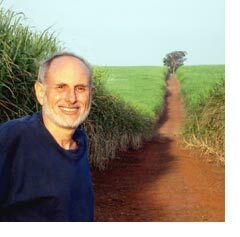 Martin Weiss writes: I'm in the interior of Brazil right now, and I don't have to travel too far to see, first-hand, the vast natural resources that are helping to make investors rich. Brazil's sugar cane industry is soaring, propelled by surging demand for ethanol. Agribusiness is the main driver of the Brazilian economy accounting for 33% of GDP, 42% of exports, and 37% of all employment. Agribusiness export revenues for the month of August reached $5.8 billion, representing 13% YoY growth. Sugar sales fell 17.9% in value YoY. Exports dropped 13.6% in value but rose 23.3% in volume. Higher prices for commodities from coffee to soybeans and iron ore to crude oil, have brought new found wealth to Brazil. Since the election of President Lula de Silva in 2003, Brazil has emerged as a major player in global trade, and its currency - the real, has climbed by 70% against the US dollar, with a trade deficit shifting into a massive surplus. The Bovespa index on the Sao Paulo Stock Exchange reached a record high of 52,750 this week, and is up 18.2% so far in 2007. Brazil economic output rose to $1.6 trillion last year, or half of South America's GDP, and making it the ninth largest economy in the world. Brazil occupies half the South American continent, contains half of its population with 200 million, and is the fifth most populous country in the world. However, there are vast disparities in the distribution of the country's land and wealth, and Brazil has the greatest number of people living in poverty in all of Latin America. When I first went to Brazil, I was six years old. A new Chevy cost $1,300. Gasoline was going for 27 cents a gallon. Harry Truman was still in the White House. And my father wanted a second home in the tropics. BRIC is becoming a fairly common acronym amongst investors. The term was coined in a research paper by Goldman Sachs in 2003 to describe an economic block composed of Brazil, Russia, India and China. The combination has the potential to be larger than the G6 in US dollar terms by 2050. Since the paper's release, investors have been scrambling for ways to leverage this theme. Last fall, Claymore introduced the first BRIC ETF (EBB). Before the Claymore ETF, the easiest way to invest into the theme was to use country specific ETFs. In the past, I have used EWZ (Brazil), TRF (Russia), IFN (India) and FXI (China) to capture the trend. An advantage of the country ETF approach is the ability to specify your own weighting for each country versus being locked in to Claymore's weighting.